Kerry Wood brings the heat. Chicago National League fans have had a long history of falling in love with dominant pitchers. Back at the dawn of Major League Baseball Albert Spaulding pitched almost every day—and sometimes double headers for the Chicago White Stockings leading them to be the dominant team in the new National League. He also managed the team an on rare days off the mound, played outfield. Grover Cleveland Alexander led strong Cubs teams from 1918 to ’26 despite epilepsy, shell shock—we call it post-traumatic stress syndrome today—and alcoholism. Canadian Ferguson Jenkins was a Cy Young Award winner and three-time All Star who lifted the Cubs from 1966-63. Bruce Sutter, arguably the prototype of the modern dominant closer, inventor of the split-finger fastball, and a rare reliever to take home the Cy Young, delighted Cubs fans in the ‘70’s. 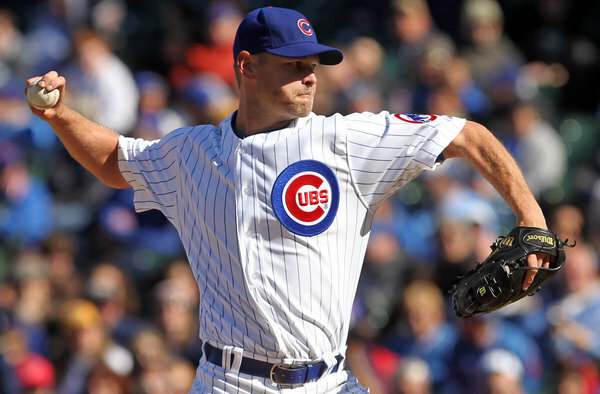 Pitching guru Gregg Maddox had two stints with the Cubs, won multiple Cy Young awards, transitioned from blazing fastball power pitcher to finesse, and mentored another generation of great young pitchers including a phenom named Mark Prior. Leendary Grover Cleveland Alexander was one of a number of Cubs pitiching icons. All of those pitchers had dominant games and posted memorable outings. But no Cub—no one in baseball history—ever matched This day. Twenty years ago it was a cool, drizzling day—May 6, 1998—when a baby faced 20-year=old pitcher stepped to the mound in Wrigley Field for his fifth major league start. 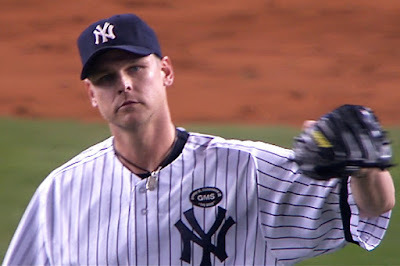 His first pitch did not bode well for the outing—a blazing 99 mph fast ball that rose up and in narrowly missing the head of batter Craig Biggio then caromed off the catcher’s glove. 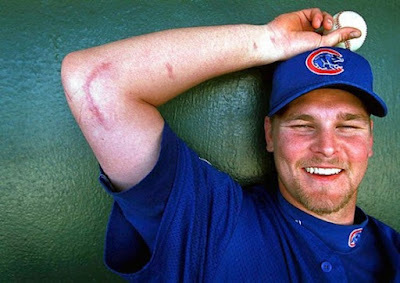 Rookie Kerry Wood had a reputation for being wild. And he was living up to it. But he settled down—maybe not enough to stop terrifying the batters of the division-leading Houston Astros. He finished off Biggio, another hitter and then Jeff Bagwell, the reigning All-Star first baseman and a power hitter went down swinging in the first. After a 3 an1 count on fastballs, Wood served up a slider for a strike and finished him off with a curve ball right over the plate. Struck out the side. WGN-TV cammerat caught bleacher fans keeping track of Wood's strikeout count. Then, one after another, often on high pitch counts the Astro sluggers started walking away from the plate shaking their heads. Up in the first row of the left field bleachers, fans who had been impressed by Wood’s previous outings came armed with letter K—the notation for a strikeout on an official scorecard—placards which they held up for all to see. The string of Ks just kept growing. Wood was nearly flawless. Biggio reached base after being hit by a pitch. Then Ricky Gutiérrez connected with a slow ground ball that was diverted by third baseman Kevin Orie’s glove. Official scorekeeper ruled it was a hit, rather than an error. Wood’s chance for a no hitter was gone on a questionable call—something that has rattled more than one veteran pitcher and opened the flood gates to more hits. But Wood shook it off. He finished the game mowing down 8 of 9 batters, finishing with 20 strikeouts—tying the Major League record held by Roger Clemens. The crowd—only about 11,000 for that early spring game—went wild. His Cubs teammates swarmed from the benches and mobbed the phenom on the mound. Sports writers and broadcasters waxed poetic, unburdening themselves of Thesauruses worth of superlatives. The performance earned a 105 on Bill James’s game score—a measurement of pitching performance—the highest ever recorded. A legend was born. Kid K. Cubs fans saw a pitcher who could carry the team on his shoulders, be the dominant arm in baseball for years, and lead the team back to the World Series. Wood had been intimidating batters since his high school years in Irving and Grand Prairie, Texas. Major league scouts began to haunt his games. The Cubs snapped up the big kid in the 1995 draft, the fourth pick over-all. In his three years in the minors he got attention for that amazing fast ball, and for his wildness. In ’96 he went 10-2 for the Dayton Cubs. The next year at Triple A Iowa his wildness showed by leading all minor league teams with 131 walks. And, like all fast ball flame throwers, when hitters did manage to connect they often sent the ball sailing over the fences. In ’98 the big league club desperately needed pitching. Despite clucks from sport writers that they were rushing the kid to The Show before he was ready, he was called up and given a top spot in the rotation. An instant fan favorite, Wood went on to a 13-6 record that year and helped get the Cubs into the playoffs despite missing the last month of the season with an injury to the forearm. Back for the post season, probably before he was ready he lost his only start to Atlanta. He was still the easy choice for National League Rookie of the Year. Wood showed off the scar from his Tommy John surgury scar. The August injury was an omen of things to come, however. It turns out that throwing 100 mph fast balls puts strains on the human body that it was never meant to endure. During spring training of ’99 he re-injured his arm and underwent Tommy John surgery to repair damage to the ulnar collateral ligament in his right elbow, missing the entire season. His return in 2000 was a struggle as he tried to adapt to a less damaging throwing style while maintaining his fast ball and control over his change ups. He finished with a 6-7 record and missed appearances to assorted injuries. Still, his strike out count remained high. The next year, he was healthy all season and seemed to have regained his control and confidence. Working now with strict pitch counts to keep him from wearing out his arm, Wood went 12-6 with a 3.36 ERA. In 92 he finished 12–11 with a 3.67 ERA, but did not miss a start all year long, setting career highs with 213.6 innings pitched and 33 starts. Off field Wood married a local girl, Sarah Pates of Waukegan and the couple settled into Old Town where they began a family and were neighborhood fixtures. The affable Wood stopped to chat with fans in the street and was gracious with autographs. He avoided the nightlife that many of his team mates reveled in. Like many stars, he started his own charity. But his big fundraiser was not a celebrity golf outing or some kind of tony benefit organized by his wife or left to the attention of handlers and p.r. consultants. His refreshingly blue collar celebrity bowling tournament, Kerry Wood’s Strike Zone and the accompanying silent auction raised more than $2 million. Wood hit his stride again in 2003 with a 14-11 record and a career high 266 strike outs. He was elected to the National League All Star Team for the first time. And with help in the rotation from another great young pitcher, Mark Prior he helped lead the Cubs to post season play. He had two wins against Atlanta in the Divisional Series and started game three of the National Championship Series which the Cubs won in extra innings. Called back to the mound for the critical 7th game, Woods hit a homer to boost his own cause, but was the loser to the Florida Marlins in that legendarily star-crossed game. Over the next three years, however Wood was plagued with injuries. He was on the bench for two months in ’04 with a triceps injury. The next year he struggled and underwent surgery on August 31 ending the season on the Disabled List (DL). He sustained multiple injuries in spring training of ’06 and underwent knee surgery. After returning to the rotation in May, he returned to the DL in June with a sore shoulder. In July the team announced that he would be out the rest of the season and need rotator cup surgery. Wood and the Cubs realized that he was finished as a starter. It was well known that the team was looking for a trade. Wood, however, wanted to stay in Chicago and volunteered in 2007 to go to the bullpen where he hoped that he could be effective in strictly limited outings. But he continued to have pain and was placed on the 15 day and later the 60 day disabled list. After rehab appearance in Iowa, Wood returned to the Cubs in August. He was a boost to the team in their drive to the play-offs. Limited to one inning in short relief and not generally used on consecutive days, Wood was effective playing in 22 games with one win, 8 holds and a 3.33 ERA and helped the team win a Division title. In the post season, Wood turned down several multiple year offers from other teams to remain with the Cubs on a one year contract. In 2008 he won the closer position after Ryan Dempster moved to the rotation. He recorded his first career save on April 3 and went on to recorded 34 saves in 39 opportunities with 82 strike-outs. He was selected to the All-Star Team for the second time. But in late July he developed a pesky blister on a finger of his pitching hand which would not heal. He was back on the DL for 15 days and plagued with it upon his return. After all of the serious injuries in his career, this relatively minor one was a devastating set back. Wood filed for free agency in the off season and the Cubs announced he was not in their future plans. Wood signed with the Cleveland Indians, pitching in 2009 in the American League for the first time. But he continued to suffer injuries. In 2010 He was back on the DL with back spasms and then again with a blister. Wood's brief turn in the Yankees bullpen helped them make the playoff, but the team had no long term plans for him. Wood wanted to come home to the Cubs. He was traded in July to the Yankees who need help in the bullpen. The New York pin stripes seemed to revive him. He had a 2.25 ERA appearing in 7 games, helping the team make the playoffs. But they Yankees had no permanent plans for him and announced his release in October. Despite his injuries, there was still plenty of interest in Wood and he once again had multi-year offers with healthy pay checks. But Wood wanted to keep his family in Chicago and yearned to return to Wrigley Field. He approached the team and offered to play for a one year deal. He accepted $1.5, which seems like a lot of money until you realize that it about what a rookie utility infielder pulls down. The display of loyalty won fan appreciation all over and he was greeted on his first Chicago appearance of 2011 with an extended standing ovation. Wood embraced his son Justin after making the final out of his career. Wood was effective enough to win a two year deal for $3 million—still a bargain price for the Cubs. But his spring training was once again marred by minor, but nagging injuries and he was ineffective in early appearances. Finally, he realized that he could not go on. He announced his retirement. He was called in to face one final batter against the White Sox on May 18, 2012 striking out Dayán Viciedo. Play was suspended while his son Justin ran on the field to greet him as he left the mound and the crowd roared with cheers for several minutes. 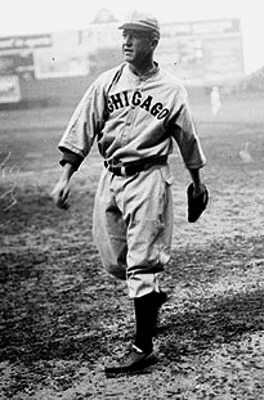 Due to his injuries—he was placed on the DL 14 times in 13 seasons—Wood will never be elected to the Hall of Fame or live to be the first Cub pitcher to be honored by a statue outside the Friendly Confines despite being the pitcher to notch 1000 strike outs faster than any other Major Leaguer—in only 134 games and 853 innings pitched. 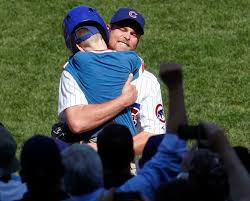 But no player in recent Cubs history was better loved by the fans than Kerry Wood.